Hi, I'm a male bass player. I was wondering if there's any other male bassists here that I could chat with? 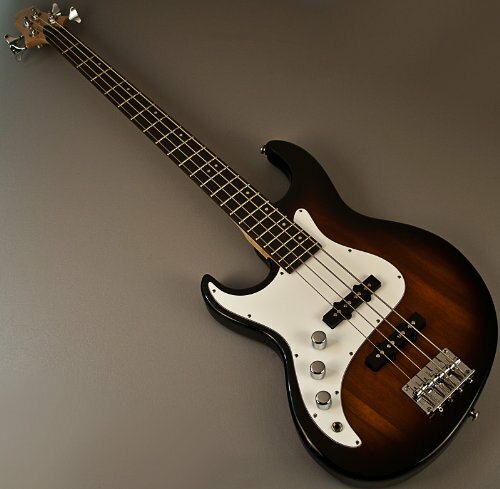 What bass guitar do you have? I've got a lefty Greg Bennett Fairlane. That is a pretty sweet looking bass! Do you have a certain genre of music you like to play to? I'm an indie rock listener, so anything you see on Pitchfork.com (besides the numerous rap albums) is a possibility. I also have a bunch of older records, I enjoy Dixieland and swing a lot. By the looks of your bass, I'm guessing you listen to something a bit more heavy? ahh right nice. I quite like arctic monkeys and the kooks. You listen to them? Only a year so far. I don't listen to much of the Arctic Monkeys or the Kooks, but they're good bands from the songs I've heard. Battles is a really good band, I wouldn't be surprised if you'd heard their song “Ice Cream”.